Concentrated Red Russian DIY Is Not Dead, Acidic, Refreshing, a cheerful Cocktail of Blackberries with a hint of Blackcurrant. The Concentrate DIY Is Not Dead is made in France. 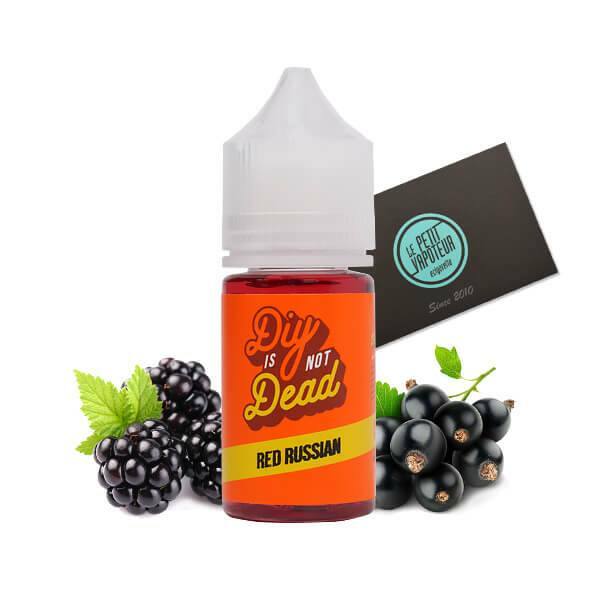 From classic Gold to Custard, by passing different fruity flavours, the concentrate DIY Is Not Dead propose you a large choice of confectionary recipes for your e-liquids with premium ingredients. Available in a 30ml bottle, you can prepare your e-liquids in large quantities. The concentrate DIY Is Not Dead are to be mixed in a PG/VG base of your choice. The Concentrate DIY Is Not Dead are made in France. "Très bien, conforme à mes attentes, conforme à mes attentes,"